Plagued by guerillas and the implacable Duke of Wellington, Napoleon termed the Peninsular War his “Spanish Ulcer.” This week, we’re heading to sunny Iberia to explore how it became such a thorn in his side! Portugal had been on Napoleon’s mind for some time, prior to the French invasion in 1807. As Britain’s oldest European ally, Portugal fostered a close relationship with its neighbour across the Atlantic. A healthy flow of trade saw both nations prosper, while the Royal Navy staged daring raids on the French from Lisbon. Relations between the French Republic and the Kingdom of Spain were beginning to sour, with an abortive attempt to join the War of the Fourth Coalition on the Allied side leading to the occupation of the country, with the royal family ending up effectively imprisoned in the French city of Bayonne. With the relationship between Portugal and Britain providing the perfect pretext for an invasion, Napoleon unleashed his legions. With the Portuguese king and much of the aristocracy fleeing for Brazil, the country collapsed in a matter of days. Resistance to French occupation in Spain boiled over in the early months of 1808, with widespread revolts centred around the major cities. The French crackdown was particularly brutal, massacring hundreds of Madrid’s citizens. This spark lit the tinderbox and a guerilla war erupted across the Iberian peninsula. 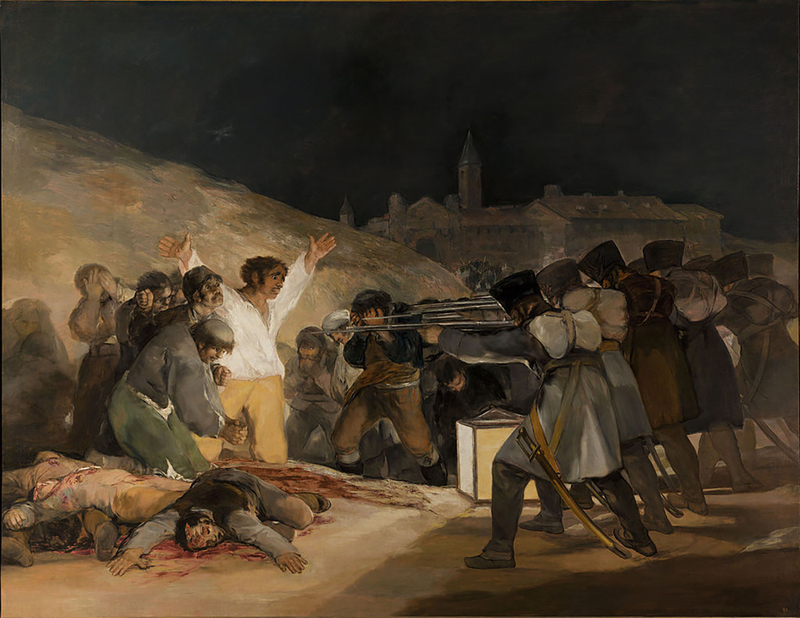 French soldiers massacre Spanish civilians during the 1808 uprising. To contend with this national uprising, Napoleon flooded Spain with 65,000 additional troops. Despite an overwhelming advantage in numbers and troop quality, the French armies were beaten back by a mixture of local militia and Spanish regulars, eventually forced back behind the Ebro river. The Spanish struggle would inspire resistance to Bonaparte’s regime across Europe. Beginning in 1808, the British Army’s intervention in the Peninsular War would decisively challenge French supremacy over the demoralised Spanish and Portuguese armies. Beginning with Rolica and Vimiero, General Wellesley would oust the French from Portugal, before being recalled to England by political wrangling, leaving Sir John Moore in charge of the British forces, now driving into Spanish territory. With the arrival of Napoleon himself at the head of 200,000 crack troops, Moore was forced to retreat northward, eventually evacuating from the port of La Coruna after fending off the French in a desperate rearguard action which would result in Moore’s death. British General Sir John Moore is shot and killed during the Battle of Corunna. With the British Army driven from the Peninsula, Napoleon’s army invaded Portugal once again, routing the Portuguese and capturing the vital port city of Oporto, along with a well-stocked arsenal and plenty of supplies. Freed from the strictures of parliamentary politicking, Wellesley returned to the Peninsular in the spring of 1809. At the head of a fresh army, he landed and swiftly defeating Marshal Soult in a second battle outside Oporto. Combining his forces with a freshly trained Portuguese army under British General Beresford, Wellesley once again marched into Spain. After joining forces with the Spanish general Cuesta, Wellesley was attacked at Talavera. Stoutly holding the line, the allied British and Spanish forces were able to repulse the French attack, but the threat of being cut off from their supply base in Portugal forced them to retreat. Wellesley (Now Viscount Wellington of Talavera) spent the winter of 1809 fortifying the area around Lisbon with a series of impenetrable defensive lines, named the Lines of Torres Vedras. Advancing from his earthwork fortress to meet the attacking French, Wellington checked their assault at Bussaco in 1810 before retreating to his prepared positions, leaving a swathe of scorched earth in his wake. Arriving at the lines in late 1810, Marshal Massena found himself unable to assail the vast network of inter-connected forts and earthworks. Checked by hunger and the impending arrival of British reinforcements, Massena was forced to retreat. 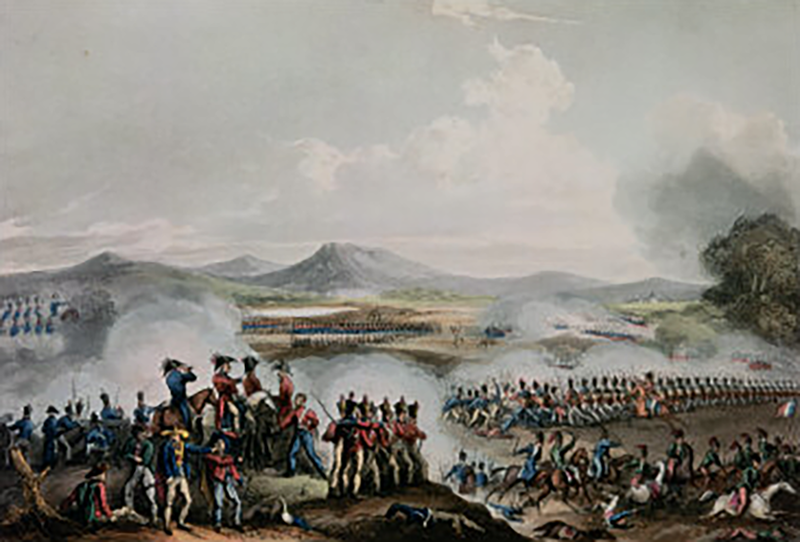 With another French army under Marshal Soult recoiling from defeat at the hands of a combined Anglo-Spanish force at Barossa, Wellington advanced against Massena’s army in Portugal and drove them back, despite bitter fighting around Fuentes de Onoro. In the spring of 1812, Wellington blasted his way into Spain after a pair of particularly costly sieges against the citadels of Cuidad Rodrigo and Badajoz. Despite technically facing a numerically superior force, Wellington was able to drive into Spain as the French were pinned down by countless partisan actions. 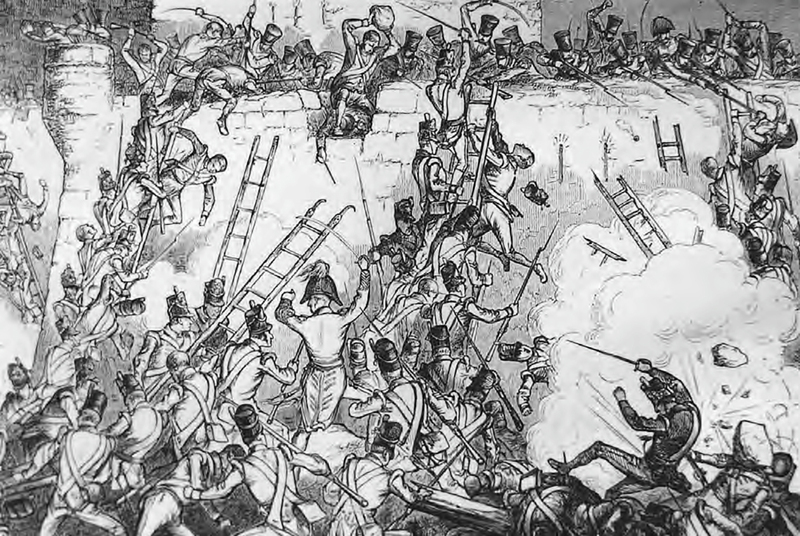 British forces attempt to scale the walls at Badajoz. Wellington’s offensive continued successfully with a crushing victory at Salamanca. Over the winter of 1812, the French campaign in Russia collapsed, tying up countless French forces that could otherwise be raised against Wellington in Spain, while the Duke himself continued to receive reinforcements from Britain. In 1813, he hammered the French back across the Spanish countryside as far as Burgos, dividing the French forces by outflanking around the mountains. 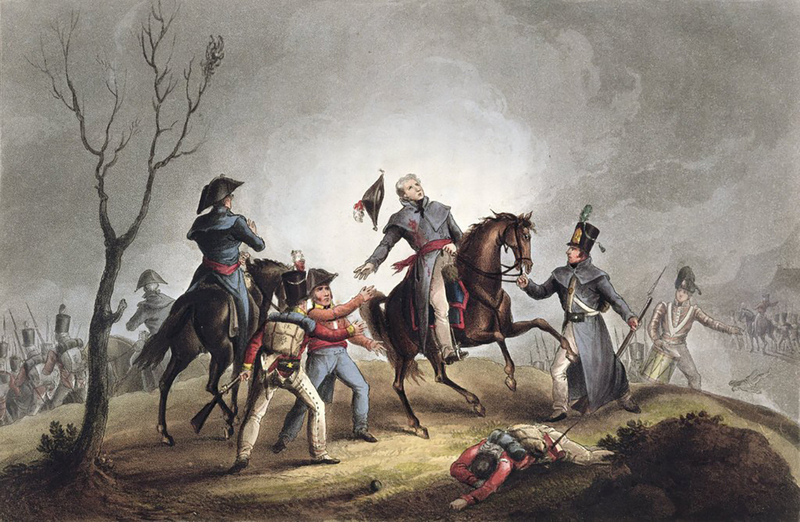 Cornering Napoleon’s brother Joseph, Wellington dismantled his army at the Battle of Vittoria. Consolidating after his victory at Vittoria, Wellington would cross the Pyrenees and enter France. A few months later, the British army won yet another victory outside Toulouse, bringing the six-year war to a close. 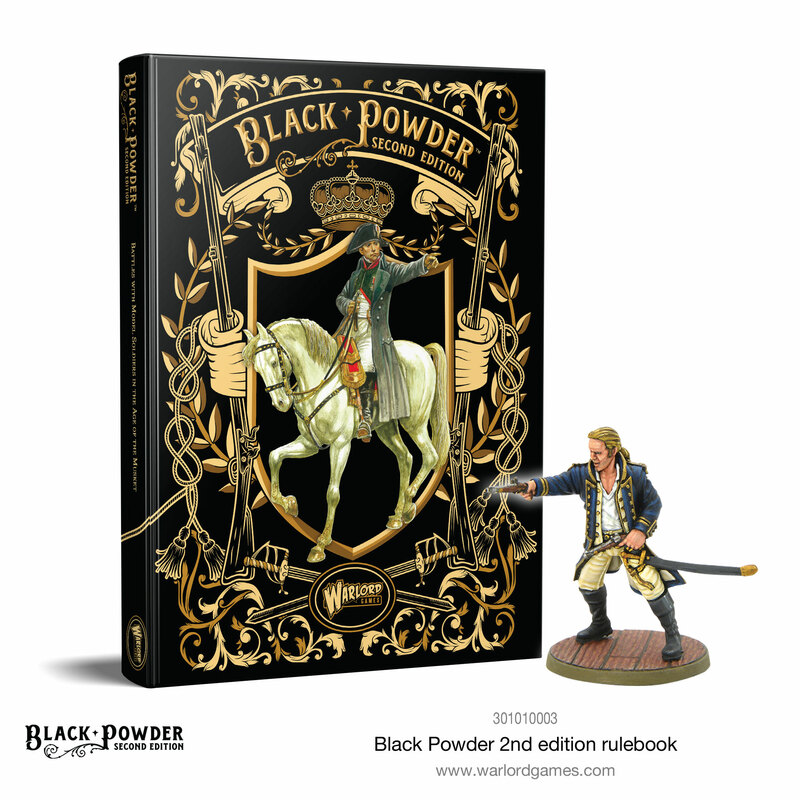 As one of the most climactic and evocative periods of the Napoleonic Wars, this is a fantastic starting point for Black Powder 2. The difference in tactical philosophies and generalship between the French and British armies showcases the best and the worst of horse and musket warfare, with attack columns getting chewed to pieces by disciplined musketry, while rifle-armed skirmishers flay their musket-armed counterparts from long ranges. It is also the birthplace of the partisan and guerrilla warfare, the perfect subjects for evocative and interesting scenarios, and the chance to explore a different side of black powder warfare with daring hit and run raids against a superior enemy force. 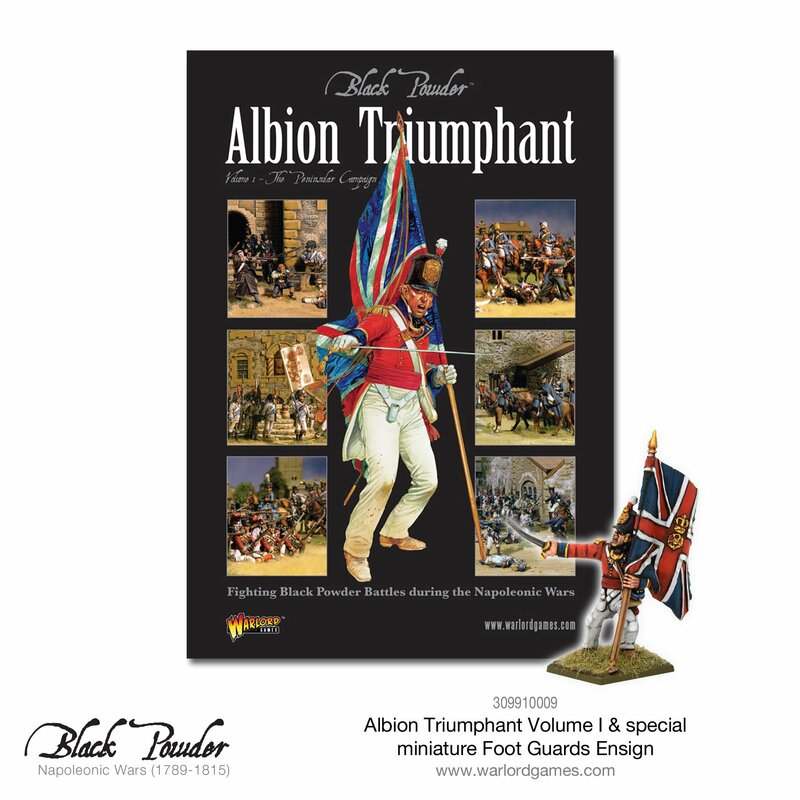 The best place to start is the fantastic first volume of the Albion Triumphant series which covers the Peninsular campaign in its entirety, along with army lists and profiles for all the major participants. 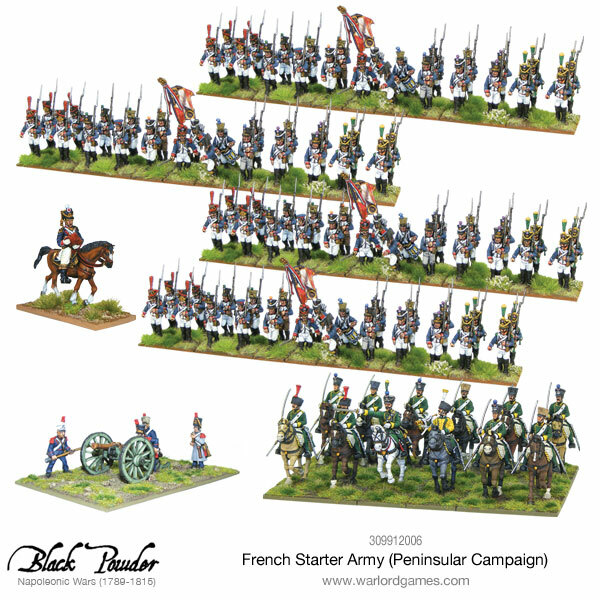 Once you’ve got the book, grabbing one (or both) of our Peninsular start armies will give you plenty of British and French models to recreate the battles of the period. 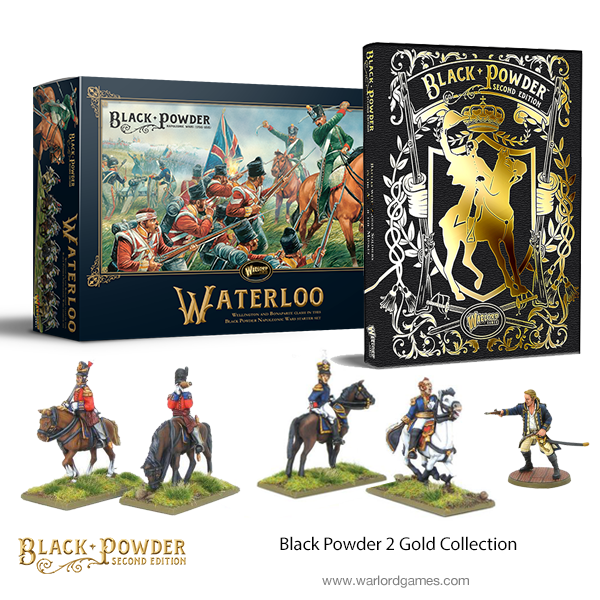 We’ve got a few copies of the Black Powder 2 Collector’s Edition available, so we’ve created a fantastic collector’s bundle that gives you the Waterloo starter set and some FREE metal mounted officers! Grab a copy of Block Powder from our webstore today, complete with a free Lucky Jack miniature! 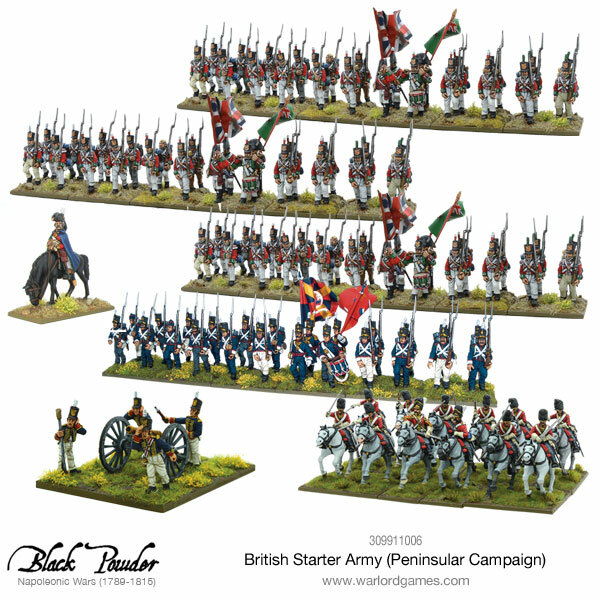 The post Black Powder 2: The Peninsular War appeared first on Warlord Games.